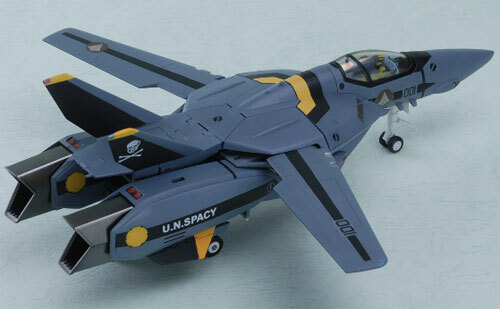 Hobby Stock's coverage of the 48th Shizuoka Hobby show has them going over to the Yamato-Toys stand. 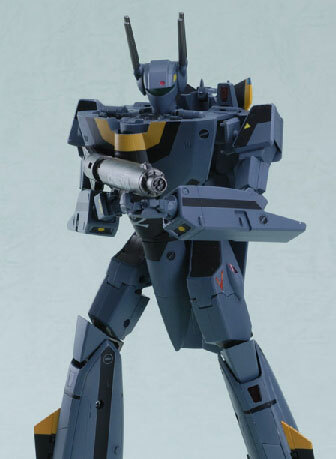 One shot they had was of Roy Fokker's VF-1S in low visibility colors. 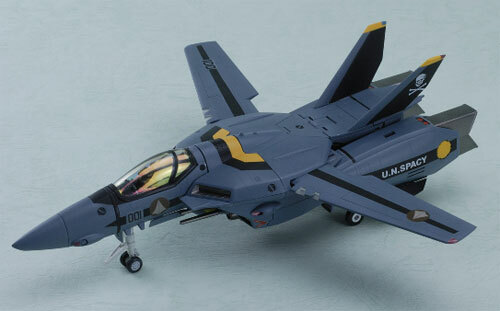 According to them it will cost around Y10290 yen and will be out by fall 2009. 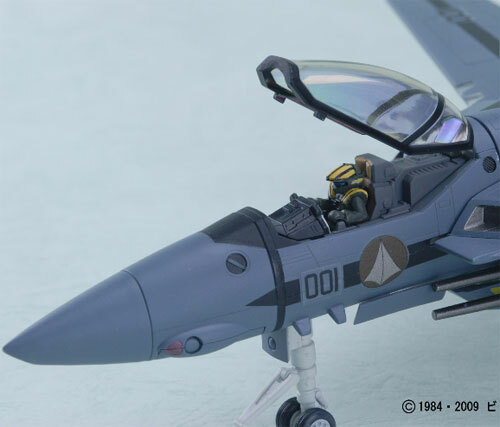 Some other items they featured were the 2 new 1/60 YF-19 Color schemes that Yamato is going to sell, the Bird of Prey and Double Nuts version. 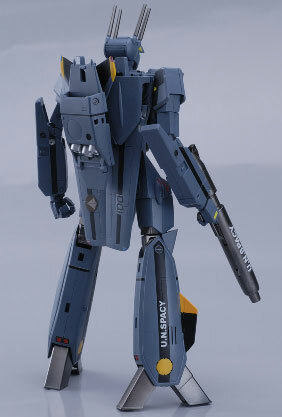 There also was the 1/60 VF-1 Elint Seeker featured in Macross DYRL (albeit for a very very short time). 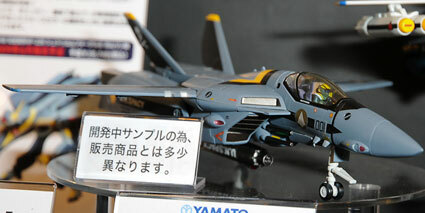 48th Shizuoka Hobby Show, boy, wish I was there. 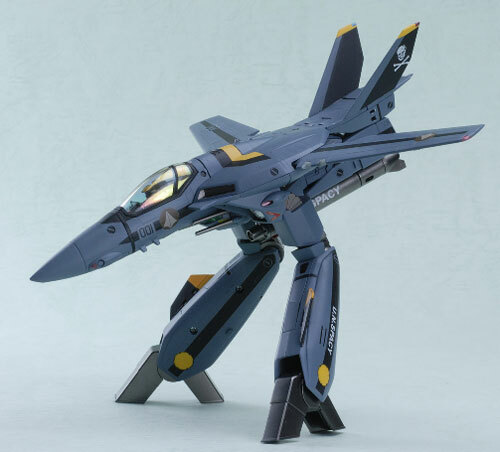 According to the literature from the site, this is supposed to be the transition aircraft when Roy Fokker first moved from his VF-0 Phoenix to a VF-1 Valkyrie. 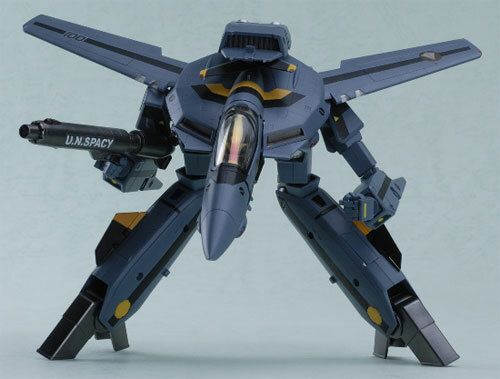 Most also likely why the Roy Fokker figure here resembles greatly the suit in the VF-0 version.